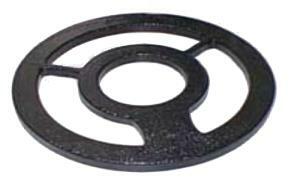 Protect your Bounty Hunter metal detectors's coils when not in use! Bounty Hunter Search Coil Covers are available in 5 varieties. Choose between 4 inch, 7.25 inch, 8 inch, or 10 inch-- same low price regardless of size you need. The 8 inch is available in both the new style spider coil cover with wider spokes, or the standard spider coil cover. (10 inch coil cover shown in example photo).